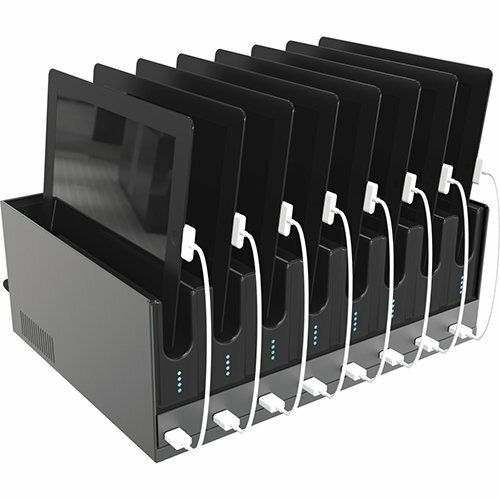 • Convenient Charging Station – Charge up to 10 different devices in this simplistic store and charge station. 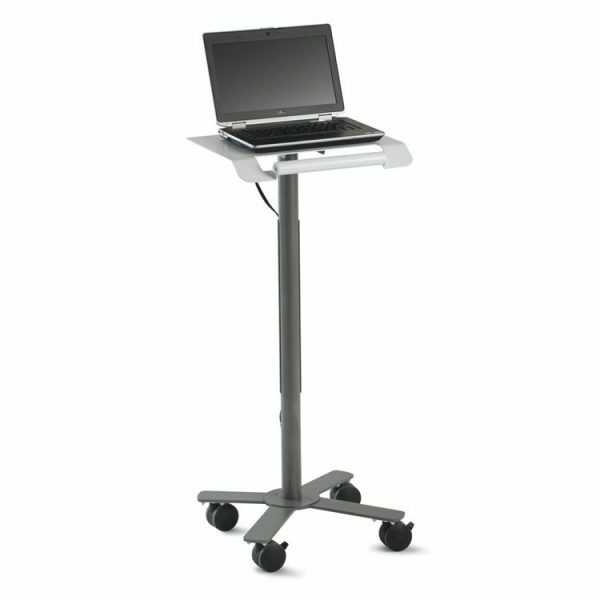 Its large bays support a variety of devices, from tablets and laptops to smartphones and e-readers. 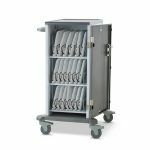 • Space Saving Footprint – With such a small footprint (18″w x 14″d x 7″h), this charging station fits great on a counter top, inside a cabinet or on a cart. Mounting holes in the base make it easy to bolt into place. 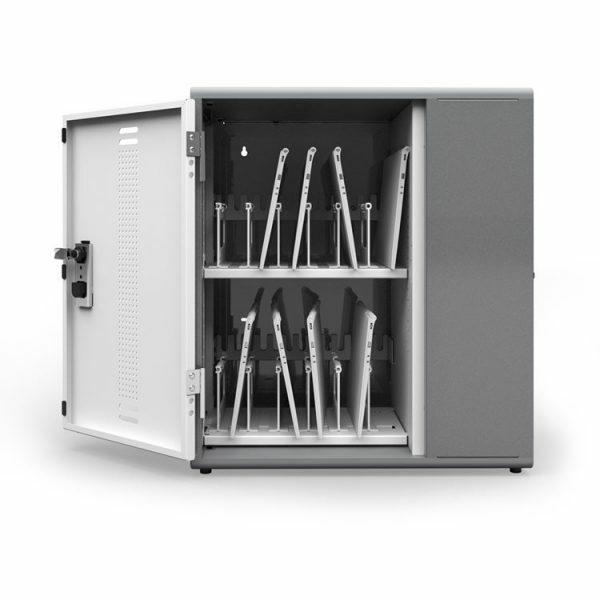 • No Hassle Cable Management – The station’s cable management conceals, organizes and protects cords underneath the tray, so there’s no mess. 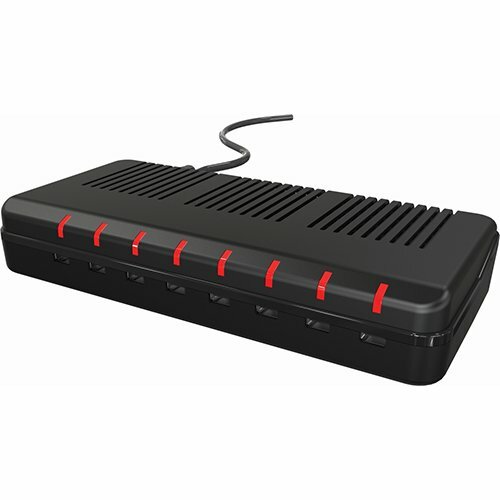 • Powers and Protects All Devices – The back end includes ten port receptacles spaced to fit most power adapters, on/off power switch, circuit breaker reset button and surge protection. 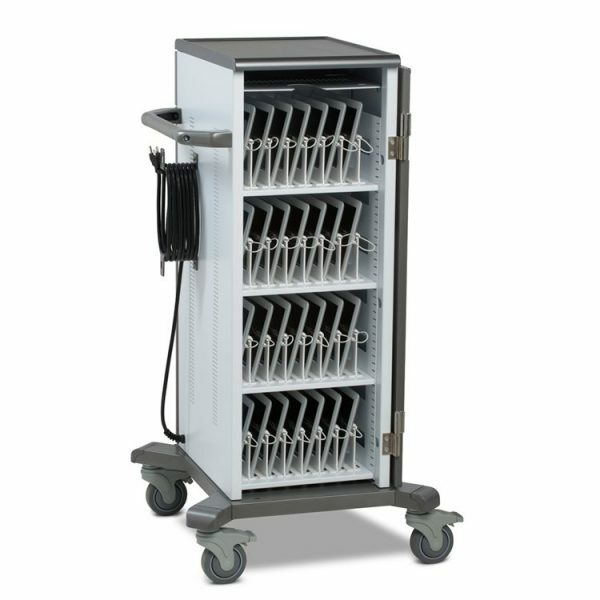 • No Assembly Required – The Store and Charge ships fully assembled, and comes with a one year warranty against manufacturing defects.